If you’re shopping for home cleaning products, compare dishwasher detergent brands using our customer satisfaction ratings. Canstar Blue research finalised August 2015 and published September 2015. The people have spoken and for 2015 we are pleased to announce that Ecostore has received our award for Most Satisfied Customers – Dishwasher Detergents. Dishwashers are wonderfully useful appliances, allowing us to clean a stack of dishes with just the push of a button. Not only this, more than two thirds of the New Zealanders we recently surveyed believe that using a dishwasher is faster and more effective than doing the dishes by hand. In fact, 12% can’t even remember the last time they hand-washed the dishes! Dishwashers can save you money too. It is widely accepted that dishwashers are energy efficient, and some models even claim to use less water than a kitchen sink. A low utility bill is always an attractive prospect, so it’s unsurprising that 34% claim they will sporadically use their dishwasher to save on water and electricity. 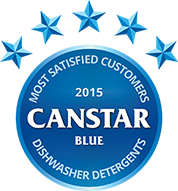 A good dishwasher detergent is just as important as a good dishwasher, so we at Canstar Blue have endeavored to help Kiwis find the best detergent out there. We surveyed consumers from across New Zealand, tracking what they had to say about their brand of dishwashing detergent. The people have spoken and for 2015 we are pleased to announce that ecostore has received our award for Most Satisfied Customers – Dishwasher Detergents. In a separate rating, ecostore also received our award for Most Satisfied Customers – Dishwashing Liquids. Our research found that 59% of Kiwis care about the environment, but are not prepared to pay extra for environmentally friendly cleaning products, so it seems that ecostore has struck a nice balance between value for money and minimising our environmental impact. What are we looking for in dishwasher detergent? No one wants to rerun their dishwasher cycle, let alone have to rewash their dishes by hand, so it’s unsurprising that effectiveness was considered most important by many Kiwis. In contrast, respondents showed little concern about the smell or the packaging of the detergent. What is in dishwasher detergents? Surfactant is the generic name given to a number of cleaning agents used in dishwashing detergents. These chemicals are responsible for removing grease and grime on dishes. Oxidizing agents such as bleach can be found in many dishwasher detergents. These agents create oxidisation reactions, removing stains and discolouration. The volume of bleach is usually quote low, so you don’t need to worry about your red coffee mug losing its colour. Enzymes are a biological substance that breaks down starch, proteins and other substances, making it much easier for the surfactant to do its job. There are a number of different things that different brands of dishwasher detergents add to their product. This includes things like: Fragrance, micro beads (to create a scrubbing effect) and auxiliaries to assist tablets in disintegrating. ecostore produces a range of plant-based, environmentally friendly cleaning products. It produces a tablet and a powder dishwasher detergent, available in a range of package sizes to suit your needs. Morning fresh dishwasher detergent comes in tablet, powder or gel form. The Morning fresh website claims that its grease cutting power and fresh scents give you guaranteed performance time and time again. Palmolive produce a range of standard and eco-friendly dishwasher detergent liquids. These detergents come in a range of fragrances from apple to lavender. Finish specialises in dishwashing detergent tablets, particularly its range of ‘powerball’ products. Finish detergent claims to both clean and protect your dishes, giving them the ‘ultimate shine’. Earthwise produce environmentally-friendly dishwasher detergents in both powder and tablet form. All Earthwise products use plant-based ingredients, and some use enzyme technology. Homebrand is the budget brand of Countdown. It produces a ‘3 in 1’ tablet dishwasher detergent, that acts as a water softener, dishwasher rinse and cleaner. Canstar Blue commissions Colmar Brunton using the SSI panel to regularly survey 2,500 New Zealand consumers across a range of categories to measure and track customer satisfaction. The outcomes reported are the results from customers within the survey group who have purchased and used detergent for their dishwasher in the last 6 months – in this case, 1,206 New Zealanders. Brands must have received at least 30 responses to be included. 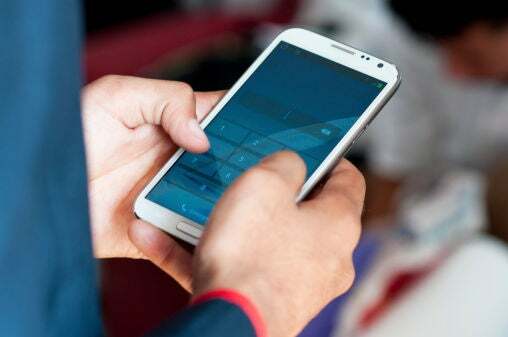 Results are comparative and it should be noted that brands receiving three stars have still achieved a satisfaction measure of at least six out of 10. Not all brands available in the market were compared in this survey. What's more effective: The dishwasher or hand washing. We compare. Dishwashing detergent is made from a number of chemicals to give your dishes that ultimate shine. So what are they? Dishwashing detergent comes in three commercially available forms. So what's the best option for your dishwasher? Read on to find out.